industry collapsed with huge job losses statewide. A political response was “the plow follows the tax,” so immigrants were sent to northern Wisconsin to farm the clear-cut lands. But guess what, northern Wisconsin soils won’t sustain farming. This history lessons sounds so much like peak oil and corn-based ethanol today. We are taking one non-sustainable situation and trying to replace it with another non-sustainable Band-Aid. Now nearly every major non-OPEC country is past its peak oil production, resulting in a steep production decline. Vitally, Mexico (was the U.S. No. 2 oil supplier), past its peak about 24 months ago, is now in rapid irreversible oil production decline. See www.peakoil.com and www.peakoil.org for more information. At the same time, global demand/consumption is growing unabated especially in the Middle East, India and China. OPEC will not be able to supply the world’s petroleum demand deficit, barring a massive economic slowdown. Numerous experts lecture that OPEC nations are lying about the quantity of their oil reserves and that OPEC nations also are actually past peak production, heading into production declines in the next couple of years. This all has serious implications for transportation, how we grow and acquire food and many aspects of our daily living. Building energy resiliency requires engaging sustainable community initiatives at local, county and state levels. Once we learned the hard lessons of the forest products industry at the turn of the century, Wisconsinites have overcome to create a sustainable Wisconsin forest industry. The same can be true of energy, but it requires smart sustainability action by our local leaders and elected officials. The initial media reaction to the Tory plan to cut 2¢ off the federal government's 4¢-a-litre diesel excise tax was lukewarm, overshadowed as it was by the pooping puffin. The news generally got buried in other stories or sidelined as a secondary issue. Big mistake. It would be unwise to underestimate the political impact of the tax cut. Prime Minister Harper can say he plans to cut $600-million off the cost of key forms of transportation -- trucking, air travel, farm vehicles -- at a time when Liberal Leader Stephane Dion is promising to do the opposite. The diesel maneuver is a direct hit on Mr. Dion's carbon tax/Green Shift policy. The divide between the two leaders is clear, and Mr. Harper has now seized the high ground on an issue that Mr. Dion has staked out as the core of his party's platform. Tax purists will claim that Mr. Harper's tax cut is another bit of raw political cleverness at the expense of good policy. At the highest level of abstraction, it is certainly true that the best tax cuts are cuts in income taxes rather than in consumption taxes. Indeed, better to raise consumption taxes and use the proceeds to cut income taxes. Tax critics didn't like Mr. Harper's GST cuts for the same reason. But as Ben Cherniavsky points out in a commentary elsewhere on this page, the tax issue is not quite that simple. Consumption taxes have their distorting and devastating impacts, and with the diesel and airlines taxes, the burden falls on industries and consumers unfairly and destructively. The diesel tax is also far from being a model consumption or environment tax. It was introduced at 2¢-a-litre in 1985 by the Mulroney government, and raised 2¢ in 1987. The objective was plain and simple: To raise cash for deficit-ridden federal government. They were never good tax policy or good environemntal tax policy. The 1998 Report of the Technical Committee on Business Taxation said that federal taxes on fuels "were initially designed to raise revenue and encourage self-sufficiency in petroleum, and not for the purpose of promoting the efficient use of energy resources." The committee, in fact, recommended lowering the excise taxes on "motive fuels" such as gasoline and raising them on other energy sources. The diesel tax suffers from another problem. The GST is calculated on top of the diesel tax, creating a tax on a tax. Getting rid of, or at least reducing, one of the taxes is good tax policy. The Peak Oil crowd is in a struggle with reality. The sandwich-board energy theorists who claim, "The end is near" for oil, are glumly looking at the crash in the price of crude. What was supposed to be heading for $200 now seems set to dip under the $100 mark. Over at Peak Oil: The End of the Oil Age, the Web site operator is absorbing the shock. 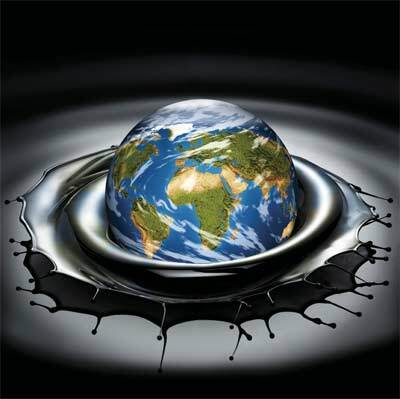 "Oil prices have fallen and with it the mass interest in the Peak Oil phenomenon." It looks grim. "The hits on this Web site have fallen, my webstore DVD stocks have suddenly stopped shrinking rapidly and it is business as usual again." But the writer adds: "Don't be fooled by falling oil prices." Over at the Post Carbon Institute, "the excitement is over." When the price of oil was above $140, "it was easy for Peak Oilers to feel vindicated and to hop on board the giddy Ferris wheel ride." But as the price of oil drifts down, "the excitement is over ... Page views on Peak Oil Web sites have fallen. All that talk of the party being over was just so much scaremongering." So what went wrong? The market, apparently. When it comes to capturing the scope of the looming Peak Oil disaster -- shrinking supplies, soaring prices, economic crises -- the market is "not very useful." Worse, the market can be downright misleading. Oil went down, it is said, "because manipulators have enough money to overwhelm almost any buying frenzy for a short period of time; once they've created the illusion that 'all is OK' and oil is not going to go through the roof, they start accumulating positions. Once the positions are accumulated, they then jam the market up with a burst of buying that overwhelms the supply, the mood is thus thrown into uncertainty, the talking ..." Huh? The latest productivity statistics continue to plot the decline in Canadian performance relative to the United States. What's wrong with Canada? Why are U. S. workers so much more productive than Canadians? One explanation is that Canada's business sector doesn't move fast enough in adjusting to adverse economic circumstances. Millan Mulraine, economics strategist at TD Securities, says there may be structural reasons. "It might be easier for U. S. business to offload workers and adjust," he suggests. Is Corporate Social Responsibility (CSR) holding back Canadian business? Out of some sense of corporate welfare, companies may be holding on to workers when output is falling, thus burdening their bottom line and the overall economy with unproductive activity. In the U. S., meanwhile, business moves swiftly to adjust. It hurts over the short term, but yields big benefits over the long term as the chart below shows. SACRAMENTO, Calif., PRNewswire via COMTEX/ -- Record oil prices have sent gasoline costs skyrocketing, and America's rickety reliance on oil has claimed the electoral agenda and public attention. Yet, despite increased drilling, burgeoning demand continues to strain supply. "Domestic gas production in the U.S. has not been proportionally increasing with the dramatic increase in drilling because much of what's being found with drilling has very high production declines during the first year," commented Vince Matthews, State Geologist of Colorado and one of many prominent speakers at the 4th annual Association for the Study of Peak Oil & Gas (ASPO)-USA Peak Oil Conference in Sacramento, Sept. 21-23. The picture for domestic oil production is not much better as the U.S. oil infrastructure is severely outdated and in need of serious rehab. "It takes millions of tons of steel to pull crude oil out of the ground, transport it to refineries, and then move and store finished petroleum products to where consumers can purchase them. The average refinery in the U.S. is more than 80 years old," Matt Simmons, chairman of Simmons & Company International, warned. While consensus is building that America indeed faces an energy challenge, a shared sense of how to respond to the energy problem is not. Jeff Rubin, Chief Economist at CIBC World Markets predicts that, "over the next four years (by 2012) some 10 million vehicles in America will be coming off the road." Co-sponsored by the City of Sacramento and the University of California-Davis, ASPO-USA's 4th annual conference will highlight a year of increased attention to the Peak Oil energy challenge and highlight intelligent responses to meet the future. Conference participants besides Simmons, Rubin and Mathews are Jim Buckee (former CEO, Talisman Energy) and Neil King (Wall Street Journal). ASPO-USA is a non-profit, non-partisan organization dedicated to providing education to the public and decision-makers about peak oil and natural gas energy challenges. ASPO-USA hosts an annual conference to explore intelligent responses and mitigation steps to lessen the impact associated with the impending peak of world oil and natural gas supplies. This year the ASPO-USA World Oil Conference will be held Sept. 21-23 at the Hyatt Regency in Sacramento. For further conference information and program details: http://www.aspo-usa.org/aspousa4/.